The latest technology in order to provide exceptional eye care. 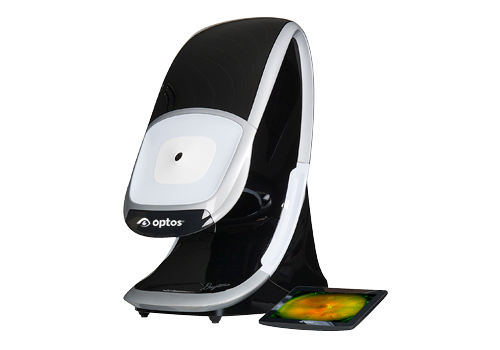 The unique Optomap ultra-widefield view helps your eye doctor detect early signs of retinal disease more effectively and efficiently than with traditional eye exams. Early detection means successful treatments can be administered and reduces the risk to your sight and health. We then have these images networked into all our exam rooms so that we can show the photos to patients to better educate them about their eye health or eye disease. 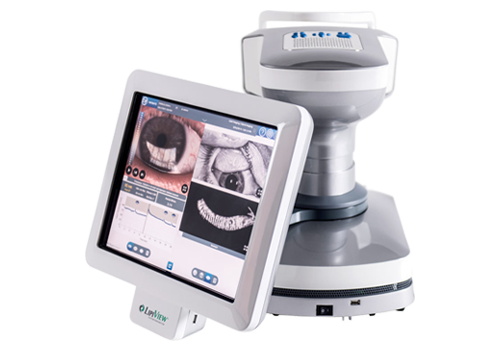 Our doctors recommend the Optomap images be captured annually and offer this service for a low cost of $39. 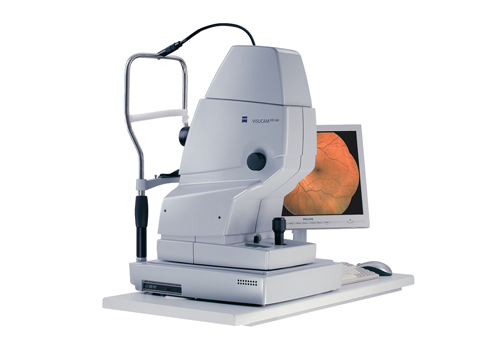 Optical coherence tomography (OCT) is an imaging method that uses light to scan the retina. It can be performed on undilated pupils and is painless. It provides detailed, real-time information about the structure of the living eye. Using light to scan the retina and optic disc, this pioneering technology brings new clinical tools for the diagnosis and management of retinal disease and glaucoma. 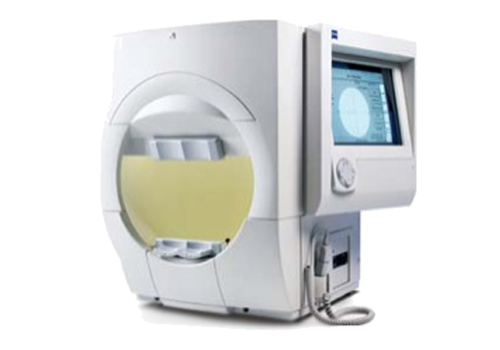 The CIRRUS HD-OCT allows our doctors to visualize retinal structures, evaluate the retinal thickness in 3-D and to view high-definition cross-sectional images that reveal subtle details of retinal diseases. The CIRRUS HD-OCT provides the most detailed scan patterns and layer maps available for identifying retinal and glaucoma disease characteristics and monitoring disease progression. It enables our doctors to project future vision loss and make timely treatment decisions. 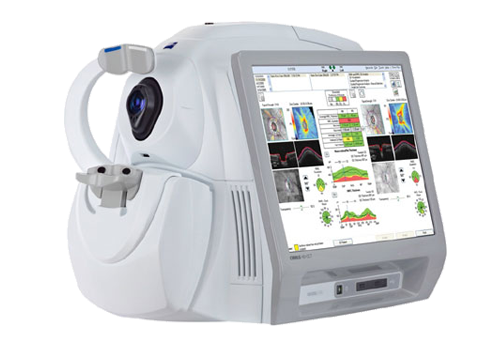 Our doctors use OCT technology to diagnose and monitor diseases such as glaucoma, macular degeneration, macular holes, diabetic retinopathy, other macular defects, and more. 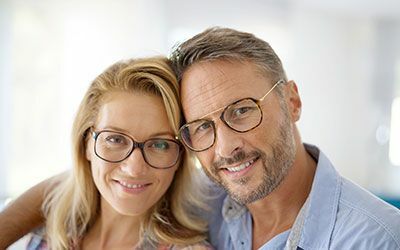 We are proud to be the first and only eye care practice in the greater Wichita Falls area to have this latest and most up-to-date OCT technology. 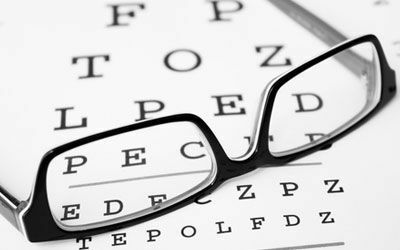 We feel it is very important to keep up-to-date by providing the latest in cutting-edge technology to better serve your eye care needs. Our doctors use visual field exams to diagnose and monitor glaucoma, detection of central or peripheral retinal disease, eyelid conditions such as ptosis or drooping, optic nerve disease, and diseases affecting the visual pathways within the brain. 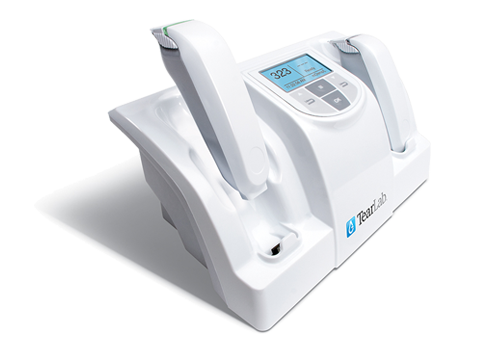 TearLab is the single most accurate and objective test for diagnosing Dry Eye Disease. TearLab generates an Osmolarity number, which provides significant information to your Doctor. With its objective, quantitative endpoint TearLab Osmolarity correlates to increasing disease severity and enables your Doctor to monitor your response to treatment. The test is fast, easy, and accurate – requiring only 50-nanoliters of tear for analysis – a sample smaller than the period at the end of this sentence. It is also more patient-friendly than older generation tests, as it is not intrusive, and requires no anesthesia. 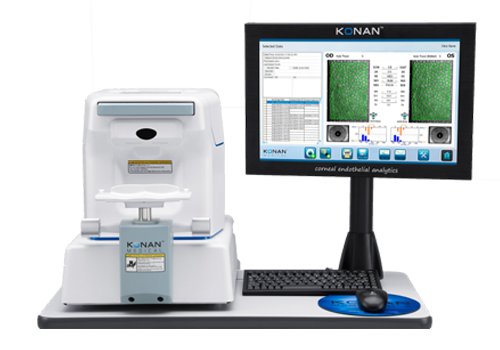 Konan specular microscope provides one of the most sensitive indicators of the health of the cornea by providing cellular level views of the endothelium. The specular microscope assesses cell density, cell size variation, cell shape variation, and corneal thickness. 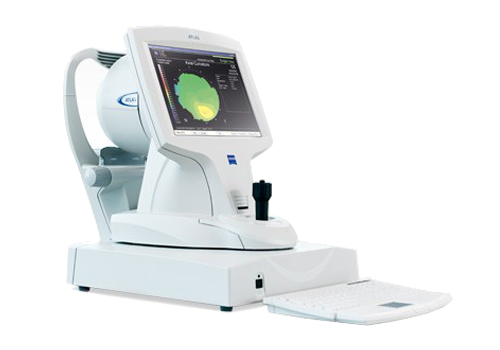 The Diopsys NOVA-VEP Vision Testing System is a part of the Diopsys NOVA suite of tests which use a technology called Visual Evoked Potential (VEP) to objectively measure the functional responses of the entire visual pathway from the anterior segment of the eye to the visual cortex. 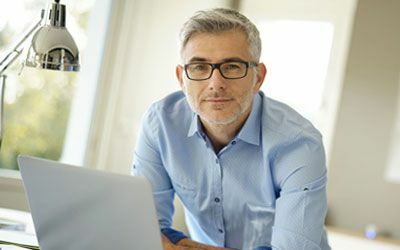 Using VEP test results can help improve sensitivity and specificity in diagnosing visual pathway disorders when used in conjunction with other diagnostic tests. 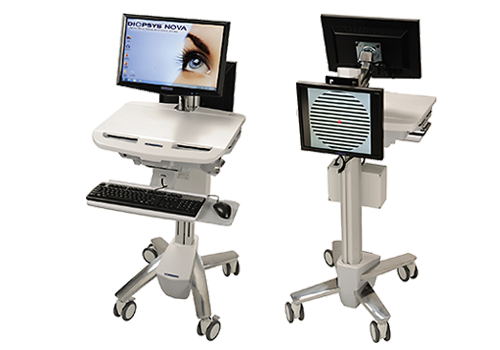 The Diopsys NOVA-ERG Vision Testing System is an office-based pattern electroretinography (ERG) module – a part of the Diopsys NOVA suite of tests. Pattern electroretinography can help doctors gain objective, functional information about the performance of the inner retinal cells of the eye, especially in the macula. 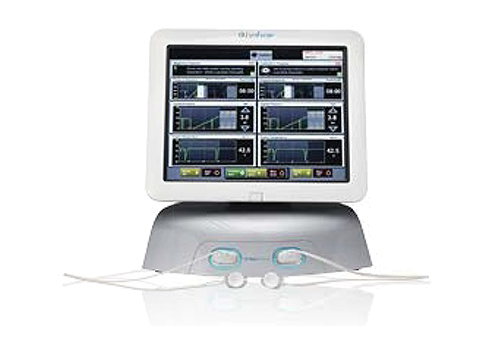 LipiView is the only instrument available that measures lipid layer thickness, evaluates the blink dynamics and images meibomian gland structure for your doctor to evaluate the level at which your glands are or are not functioning. The LipiView accurately measures the sub-micron thickness of the lipid layer. LipiView analyzes over one billion data points, isolating the lipid layer of the tear film to generate an accurate repeatable measurement. While there are multiple choices available for treating MGD, LipiFlow is the only FDA-cleared device for removing gland blockages and restoring gland function. Through advances in the application of Vectored Thermal Pulsation (VTP) technology, the LipiFlow treatment utilizes a patented algorithm of heat applied to the inner eyelids and massage to remove the obstructions in your meibomian glands. Digital retinal photography uses a specialized low power microscope with an attached camera designed to photograph the interior surface of the eye, including the retina, optic disc, and macula. Retinal photography also allows us to diagnose diseases of the eye and monitor the progression of these diseases. Eye diseases that we commonly diagnose and monitor with retinal photos include glaucoma, macular degeneration, diabetic retinopathy, hypertensive retinopathy, and others. 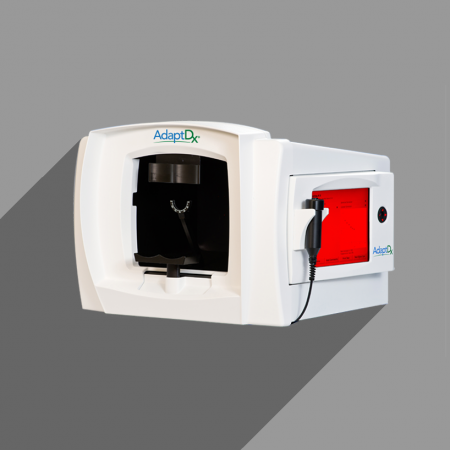 The AdaptDx®, created by MacuLogix®, makes dark adaptation testing affordable and accessible for any optometry or ophthalmology practice. The device automatically measures the number of minutes it takes for the eye to adapt from bright light to darkness—the Rod Intercept™ (RI). With the AdaptDx test, you get a clear, objective measurement of retinal function with 90% sensitivity and 90% specificity for the presence of AMD. Diagnosing AMD early allows you to offer patients like Dolores a course of action to delay or prevent blindness from AMD.